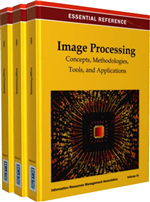 This chapter presents an objective assessment method of image quality using visual evoked potentials (VEPs) to image engineer field based on multi-disciplinarily approach such as knowledge of neurobiology, image recognition theory, or computer vision. The multi-disciplinarily based objective assessment method applies Gaussian scale-space filtering in order to define a scalar parameter to depict blur image. In the experiment, visual stimuli are provided by the scalar parameter, and subjects are detected using VEPs. Their VEPs are recoded during observation of the checkerboard pattern reversal (PR) stimuli, and are analyzed with a latency of about Negative 145 msec (N145) component. The result of the experiment was that latency of N145 components were long about10-20 msec when parameters were large vale (more blur). This result shows one example of availableness for the multi-disciplinarily based objective assessment of image quality by integrating the pattern reversal visual evoked potential (PR-VEP) and the scale-space theory. IMAGE communication technology progressions create new image information media environment. Components of image information media environment are roughly divided into three factors (Hayashi & Minazuki, 2010). They are media factor, audio-visual environment factor, viewing audience factor. Media factor has effect by producers or contents. Audio-visual environment factor has effect by display devices, audio-visual conditions and so on. Viewing audience factor has characteristic of personas, audio-visual attitude and so on. These researches of their factors have been advanced independently in general, and have been reported in an individual research field. Therefore, these researches of their factors were efficiently advanced in the research field which had been very limited. However, since image information media environment have been originally integrated, not only an analytical approach but also an integrated approach is necessary in the research. The point is that an integrated research approach should be needed and enhanced in order to solve their problems. On the other hand affect image information to human bodily performance such as photosensitive epilepsy (PSE) (Fylan & Harding, 1997; Harding & Jeavons, 1994; Harding & Harding, 2008), stress, visual fatigue, amenity are problems of growing concern. These symptoms are one-research topics into which of each is integrated. The affect image information to human bodily performance are many kind of ones such as good affect to connect contents affinity like this strong visuals and realistic, bad affect to lead to physiological distemper like this PSE, and affect to seem large-scale screen image or stereoscopic vision. The research of an objective assessment of image quality is one of their affect researches. The research of image quality assessment is important on image engineering study (Allnatt, 1980; Mitsuhashi, 1999; Miyahara, 1988; Nakasu et al, 2008; Narita, 1995; Narita & Sugiura, 1998; Hayashi et al, 1999; Kondo et al, 1997; Rec. ITU-R BT.500-11, 2002; Rec. ITU-R BT.710-4, 1998; Tan et al, 1998; Teunissen, 1996; Ridder & Hamberg, 1997, Yamamoto, 2009; Yuyama et al, 1998). There are many theme in the research area. In general, an image quality assessment is roughly divided into a subjective assessment method and an objective assessment method. In addition, the objective assessment method includes the following two cases (Hayashi et al, 2002). One case is that the assessment object is physical characteristic of the image. Another case is that the assessment object is a physiological characteristic of the person who receives the image. The latter indicates the research of using human bodily performance of image information for the index of the image quality assessment. This chapter allocates the latter case to be objective assessment method if there is especially no explanation. It is clear that the research of the affect image information to human bodily performance or the objective assessment is important. However, the research does not have an enough covering which becomes the world standard. This reason is that it is difficult to integrate many factors in multidisciplinary field such as engineering, psychology, and physiology. And the reason is that a scientific methodology to an integrated problem such as image information media environment including many factors does not develop enough too. On the other hand, it is said that it is a problem to solve such an integrated problem in the 21st century. It is necessary to develop the methodology. From the above-mentioned this chapter shows one example of integrated research approach and the multi-disciplinarily based objective assessment of image quality.